​Phyllis Papps and Francesca Curtis have been described as the “modern day Gertrude Stein and Alice B. Toklas”. The two met in 1970, had an instant connection, and have been inseparable ever since. They were involved with the Australian offshoot of the Daughters of Bilitis, which was the first lesbian civil and political rights organisation in the United States. This group eventually became the Australasian Lesbian Movement, and it was the first gay politica group in Australia. The group disbanded in 1972, but their impact was immense. Through ALM they’d supported women to ‘come out’ in the ultra-conservative early ‘70s. They’d host club meetings in their home, take in women who’d left their husbands or been rejected by family, and host mixer drinks for women to start dating. 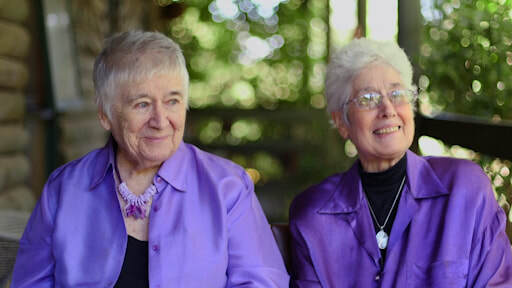 Throughout their lives, they advocated for the lesbian community, worked with the Gay and Lesbian Archives, and helped women from the ground up.